Its south area is composed of low mountain ranges of the Maya Mountains while its Caribbean coast is lined with soft coral reefs and some 500 islets and islands called "cayes." 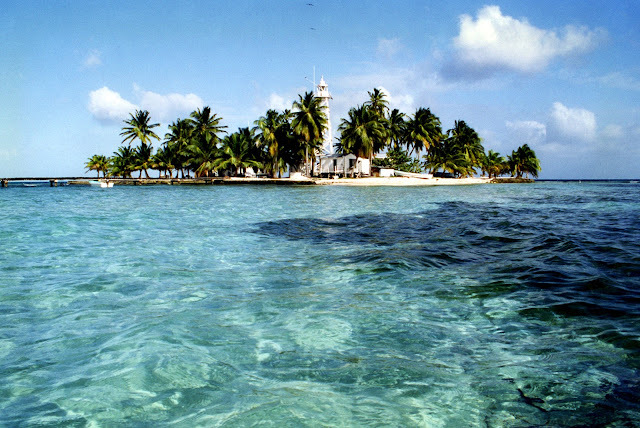 Belize boasts off the Belize Barrier Reef which is known as the longest in the western hemisphere and is considered as the second longest in the whole world, next to the Great Barrier Reef. 3. Exploring the island by land. This can be very tiring but thrilling because you get to explore the place on your own and at your own pace. You can do your exploration by taking a golf cart ride, cattle cars, and though bikes that are available for rent. 4. Sea adventure. Exploring the seas can be as exciting as rediscovering the land. To relish the beauty of the island and its waters, rent a charter boat with a guide to go around the island or you can rent a kayak that will take you to various parts of the island. You can also rent boats for boating; you can go fishing, and do various water sports such as jet skis, wave runners, diving, snorkeling, windsurfing, kite surfing, sailing, canoeing, kayaking, and catamarans. You can charter adventure sailing vacation to almost any destination in the world. The only problem is that it will cost you a lump sum paying for the crew, the meals and the fuel for the trip. You can probably save money on a sailing vacation when you own the yacht but only if you know how to navigate and control it. The advantage of owning a boat is that you can go on a sailing vacation at any time. You don’t have to call your travel agent or make any reservation online since the boat is just sitting at the dock waiting for you to come aboard. The only thing you have to do is buy food and fuel which should be enough to get you back to port. 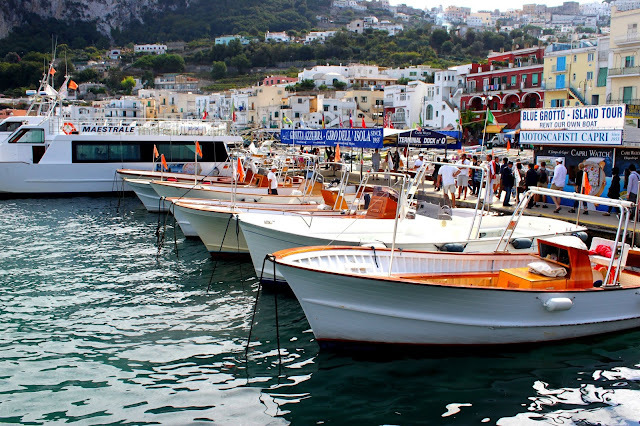 The boat also brings financial benefits because when you are not using it, this can be rented out to those who want to go on their own sailing vacation as long as they are able to pay your rate. This, of course, means additional revenue for you so the ship stays in good shape. Another financial benefit of owning your own yacht is the fact that this is considered to be a second home. This is as long as the boat has at least one berth, a permanent gallery and a head which is the requirement of the IRS. If you can’t buy your own yacht, there is something called fractional boat ownership which means for a certain period during the year, you can do whatever you want with the boat. This will allow you to use it to go on a trip with your family. The best thing about this is that a group of you share the cost of owning the yacht which already includes its maintenance, insurance, moorage, equipment, fuel, and repairs. This can only happen of course after you have completed a boating safety class and a safety orientation. This will not be a problem for you if you are already certified to sail a boat and know how to use all the equipment like charts, compass, and GPS on board. The other option is to join a boat club. Unlike part-time sharing, you don’t get to own a boat. But as a member, you are entitled to up to 4 advanced reservations at any given time and access to powerboats or to sailboats that are up to 30 feet in length. 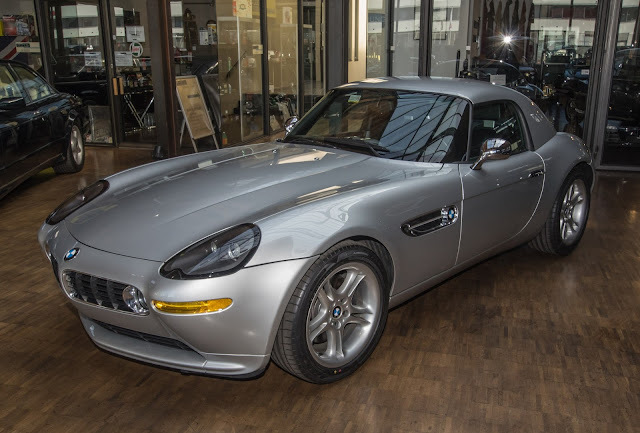 The club for its part will shoulder all the other expenses such as maintenance, cleaning, storage, and insurance. There are many of them around so you won’t have a hard time choosing one. Some cater to one market while others cater to all. They also offer boating classes for those who want to do this for fun or commit themselves in the sport. Adventure sailing vacation is truly better when you own the yacht as the only thing you have to do is drive on over to the docks, stow your gear on board and then sail off into the sunset. Doesn’t the idea of a lovely three-day sail in wonderful old boat sound nice? Here are a few things to think about before you sail away. 1. Do check the price. It may be possible to take an actual, fairly luxurious cruise instead of sailing on one of the oldest boats in America. 2. Do make sure you fully understand the size of your "room " on the boat. If you are hoping to have any romantic action in your cabin it would be good to know ahead of time that you and your partner each have a small bunk and these bunks are not on the same wall. 3. Do know ahead of time if you and your partner can both even stand up at the same time in your "room" on the boat. If the answer is "no" consider other options. 4. Don't leave without checking more than once to make sure you have Your luggage. Even though you carefully packed All the luggage, did Yours actually make it to the boat? If not you will have a fantastic time with no changes of clothing and nothing warmer than a sweatshirt. Don’t leave without all your luggage! 5. Don’t get on a boat where the crew is planning on having a lot of assistance from you and the rest of the paying customers. Like, for instance, doing your own dishes or pulling in ropes and such. 6. Don’t think you will get everything outlined in the brochure. Will you ever go onto land during this excursion or will you just ride around and around on the boat being quite sure you’ve seen that same shoreline five times in three days? Do ask the boat crew if you will ever see any of the sea creatures promised and what about the island lobster bake? 7. Don’t plan on real bathroom facilities and do ask where the shower is. Ha!! 8. Don’t even think of taking this kind of boat trip if you don’t like small spaces. Not only is the berth area minuscule, there is no other place to play games or cards except the galley, also tiny and often being used to fix the meals. 9. Do consider this boat trip if you enjoy working while on a very expensive vacation in the smallest accommodations imaginable while possibly seeing no sea life and not eating promised lobster! These are some do’s and don’t of a boat trip I’ve actually taken. There is something magical about chartering a boat and sailing the clear, turquoise blue waters of the Caribbean. There is no finer way to get a break and relax than to sail from island to island. At some point during your Caribbean sailing experience, however, you will want to stop. Whether you want to fish, swim, snorkel or dive, have lunch or stay overnight, you will need to find an anchorage and either anchor or use a mooring ball. Anchoring a boat securely is one of the most basic skills in boat handling. The key is preparation and slow maneuvering. If you miss the first time, do not be embarrassed. There is not an experienced sailor afloat who have not encountered this problem. Just go around and start again. The important thing is to have it right! By anchoring poorly, not only are you endangering your boat, but also the other boats anchored nearby. By following these suggestions and techniques, you can feel confident that you will have safe, hassle-free anchoring. The first step in anchoring is to pick an anchorage. Try to arrive at your anchorage relatively early enough in the afternoon. This allows you enough light to avoid any shoals or other hazards like rock/coral heads, fish nets or boats, ferries, freighters, mooring balls, crab pots, and cables. In addition, during peak season (December to April) many popular spots throughout the Caribbean become very crowded. By arriving early enough, you have extra time to go somewhere else before nightfall. When choosing an anchorage, there are several things to consider. For instance, is the anchorage protected? A good anchorage offers protection from the current weather conditions and will also offer protection from the expected weather. Are there any local weather (wind) conditions or exposure to swells that could make the anchorage too rolly? How well is the entrance and anchorage area charted or marked? How good is the holding? Charts should indicate the type of bottom. Generally speaking, most anchors will hold well in sandy bottoms. Rock, coral, and shale prevent anchors from digging in. If possible, avoid grassy bottoms, where it is very difficult to set the anchor. How crowded, noisy, dirty or smelly is it? Is the band from the beach bar going to keep you up until the wee hours of the morning or is the diesel smell of the inter-island ferry going to detract from your ideal scent of paradise? How pretty is the anchorage when you sit in the cockpit enjoying the dawn or dusk? How long a dinghy ride is it to shore and is there a decent place to dock the dinghy? What amenities are available on shore? What are the depth and tidal range? Enough depth is needed so that low tide does not present obstacles your boat might swing into and it is also important when determining scope. Finally, is there enough room? No matter where your boat is anchored, the largest possible swing range should be considered. Once you have decided that the anchorage is the perfect spot to stop on your Caribbean sailing adventure, there are several steps to take before actually anchoring. Before doing anything else, work out a system of communication between the person at the helm and the crew member dropping the anchor. Remember that your engine will be running and therefore you will be unable to communicate verbally. Hand signals usually work best. Furl the sails and generally make the boat shipshape before entering the anchorage. Also, shorten the dinghy painter (the line that attaches at the front of the dinghy) if you are dragging the dinghy behind you. This prevents it from being sucked into the prop when you put the engine in reverse. Open the anchor locker hatch, and if your anchor has a safety line attached to the chain (usually found only in monohulls), untie and release it. Get the anchor ready to be dropped by disengaging the anchor from the bow rollers. This is done by using the remote control windlass (found in most Caribbean sailing charters) to lower the anchor about two to three feet. Make sure all fingers and toes are away from the chain! Finally, take a tour of the anchorage at very slow speed to get a sense of where you would like to be. After your tour of the anchorage, pick your spot. As the newest arrival in an anchorage, you must anchor to keep clear of boats already at anchor. Allow for any change in wind direction. It is always safer to leave extra space around your boat. Make sure you will have enough room to fall back on the anchor without lying too close to any vessel anchored behind you once you have laid out a 7 to 1 scope. In normal conditions, if you are using all chain, a safe minimum anchor scope ratio is 5 to 1 (chain length to depth). In heavy weather, the scope ratio is 7 to 1. Depth is the depth of the water at high tide plus the height from the water line to the bow roller. The scope is the actual amount of anchor line (chain) paid out when the boat is safely anchored. For example, if high water is 20 feet deep and your bow roller is 5 feet above the water, you need 125 feet (5 x 20 + 5 feet) of scope to anchor if using all chain, or 175 feet if using a 7 to 1 scope. Remember, putting out too little scope is one of the most common mistakes cruisers make when anchoring. With the bow to the wind, slowly motor up to the desired spot. Stop the boat exactly where you wish the anchor to lay and take note of the depth. Remember that if you are chartering a catamaran, a cat offers less resistance to the water than a monohull and thus takes more time to slow down than a monohull. Make sure the catamaran has completely stopped. You can keep a cat straight into the wind by using both engines at idle speed. Once your vessel has lost all forward movement, it is now time to drop and set the anchor. Despite the term, "dropping anchor", you never want to throw the anchor over the side or let it run free immediately because the chain will run out at a tremendous speed and pile on itself rather than laying out straight on the seabed. A piled anchor chain prevents the anchor from setting properly and may actually foul the anchor. Instead, with the windlass, lower the anchor quickly to the bottom. Let the wind slowly push your boat back- do not try to reverse. Let out adequate scope as the vessel moves aft. If you are in a monohull, do not worry about being broadside to the wind. When the desired amount of scope has been let out, snub the chain and allow the wind to straighten out the boat. Once the boat is headed with the bow into the wind, gently put the engine into reverse and throttle at 1500 rpm for about 15-20 seconds. This should set the anchor and the anchor chain should start to straighten. If it vibrates or skips, let out more scope. An anchor that is set will not shake the chain. Once you are satisfied the anchor is set, turn off the engine. Put on your snorkel gear and visually check the anchor to ensure your boat is secure. If the anchor is lying on its side, caught in coral, or the chain is wrapped around a coral head, reset it. When the anchor is firmly set, look around for reference points in relation to your boat. These can include other boats or fixed landmarks like a house, rock formation or tower. Over the next hour, relax in your cockpit and make sure those reference points are in the same place. If not, you are probably dragging the anchor. If your boat is dragging anchor during the day, it is not a major problem. Start your engine and put it into idle gear. Try to let out more chain. Wait a few minutes to see if the anchor sets itself. If not, you will have to re-anchor. If your boat is dragging at night, it becomes a little more challenging. If you are sound asleep and you do not bump into anything, you might not even know you dragged until the next morning when you wake up in a different place. I have friends who are extremely experienced sailors. They actually woke up in an entirely different anchorage after a night of dragging. On the other hand, you might become aware of night dragging when other people in the anchorage start screaming and flashing lights at your boat. Start your engine and keep it idling. Try to let out more chain and wait to see if the anchor resets itself. If not, you will have to re-anchor. Use your depth sounder to try and find another spot to anchor. Keep all the lights on the boat off to get the best night vision possible. Slowly move to another spot with extreme caution. If your neighbor's boat is dragging during the day, try and get their attention. Put out fenders to avoid damage to your boat. If nobody is on board the dragging boat (they are onshore drinking at the local beach bar), you can either get aboard their boat and reset the anchor, or if you are not comfortable doing that, you may have to move your own boat. During the night, if you are suddenly jolted awake when another boat hits yours, immediately start the engine and keep it idling. Wake up the crew of the other boat (yell, flash your lights, etc), put out fenders and do the same as during the day. Throughout the Caribbean, but especially in the British Virgin Islands, professionally maintained mooring balls are located in many anchorages and are available for overnight use for a small fee. A mooring is a buoy connected to an extremely heavy anchor or weight. Besides protecting the coral from damage done by an anchor, picking up a mooring ball has three other advantages. First, you do not have to go to the bother of using your anchor. Second, the mooring's anchor probably is never going to drag. And third, because the mooring's anchor is so heavy and deeply embedded in the sea bottom, less scope is needed and, therefore, the boat will swing around in a tighter radius than it would on its own anchor. As in anchoring, approach the mooring area slowly with your dinghy pulled in on a short painter. Have a crew member ready with a boat hook at the bow to direct you and to pick up the mooring pennant (a line with a loop at the end). Have one end of a line attached to a bow cleat with the free end close by. If you have chartered a catamaran, one line is sufficient. If you have chartered a monohull, however, attach a second line to the opposite side bow cleat. Point the bow of the boat into the wind and slowly approach the mooring ball. By shifting alternately from forward to neutral, you can coast towards the ball. Shift into reverse to stop the boat as the crew member lifts the pennant on board and passes the free end of the line(s) through it. Quickly cleat off the free end of the line on the opposite bow cleat for a catamaran or on the same side for a monohull.. On a monohull, the two lines prevent chafing and limit the risk of breaking free from the mooring ball. On a catamaran, the line hangs low enough that chafing from tension is rarely a problem. Again, do not be embarrassed if you miss picking up the pennant the first time- it has happened to all of us! Just circle around and try it again. Once secured, adjust the lines, if necessary. To leave a mooring ball, make sure the dinghy is again on a short painter. Un-cleat the line(s) and simply let go of the pennant. Take care not to run over the mooring buoy and pennant as you leave for your next Caribbean sailing destination. Before raising the anchor, preparation is again necessary. Make sure that loose items are stowed and hatch covers are closed. (The anchor locker hatch cover should be open). Shorten up the dinghy painter again. Start the engine. Most charter boats require the engine on to operate the windlass. Have a crew member stand on the most forward point at the bow with the windlass remote control. Using hand signals, the crew member instructs the helmsman to move the boat forward very slowly in the direction of the chain. Make sure the helmsman stops the motion of the boat before overshooting the anchor. While the chain is slack, start cranking it up. When you get to the snubber, put down the remote and remove the snubber. Then resume cranking. When the chain is taut again, with hand signals, instruct the helmsman to move the boat forward again in the direction of the chain. The whole idea of this is to avoid using the windlass to move the boat forward, as this causes incredible strain on the windlass and on the chain roller. At one point, you will find the boat straight above the anchor. Finish cranking the chain until the anchor is all the way up and settled on the rollers. Signal the helmsman that the boat is free. Reattach the safety line to the anchor chain if it has one, stow the remote control and secure the anchor locker hatch. Then return to the cockpit to help raise the sails. No matter where your Caribbean sailing adventure takes you, at some point, you will want to stop. Anchoring is among the most important activities you will do while cruising. Anchoring is as much an art as a science. 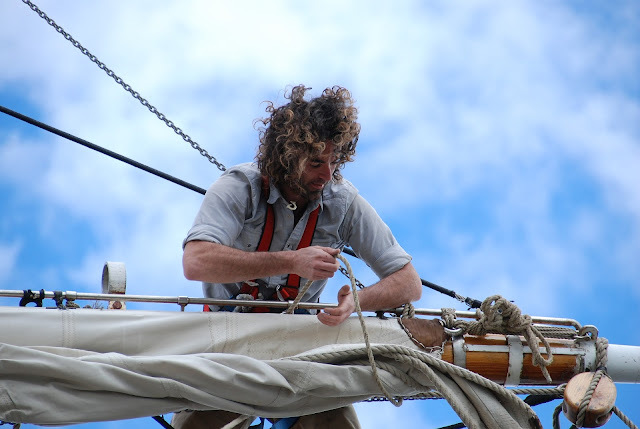 The helmsman and crew have to orchestrate their efforts with the wind, current and vessel. The important thing to remember is not to be embarrassed. Even the most experienced sailors have difficulty anchoring at times. As the old adage says, "Practice makes perfect." To perfect your anchoring skills and enjoy the most relaxing vacation ever, contact Virgin Island Sailing to arrange your charter. Nothing else beats Caribbean sailing! Boating is a great adventure on any type of boat and is being enjoyed by many on a daily basis, but with that comes a great responsibility. It is not mandatory to do a boating course at this time but there are some very good reasons to get your self-informed about the rules of the road. 1) You will learn about safety equipment and what you are required to have on your boat before you undertake any boating excursion. This is very important because what you don’t have with you could make the difference between being able to handle a situation or not. Also, that outing for the day could cost you if the sheriff stops you to spot check your boat and fines you for not having all the safety equipment required for your specific boat. 2) You will learn that driving a boat is vastly different from driving a car. You are dealing with air and water currents. If you have never docked a boat you may think that it is easy until that is, the current is pulling you in the opposite direction that you want to go. Understanding air and water currents will help you learn how to dock your boat. 3) Knowing how to work with lines and tying knots is part of boating. You have to be able to secure a boat properly. If your boat gets away, it is amazing how quickly the current will take it out of your reach and you will probably require the assistance of another boater to help you get to it. So learn your knots. 4) You will learn what the channel markers mean. We learned the hard way the first time we went out on a boat and ran aground outside the markers. We also had no clue what the red and green markers meant on the poles. This you also learn on the course. 5) There are speed limits on certain waterways but unlike the roads, they may or may not be posted. Ignorance may not be enough to get you out of a ticket. 6) Using charts for coastal navigation can be a lifesaver. It’s your roadmap that helps you stay away from the shallows and shows where all the markers and bridges are, and by using measurements you can calculate the distance and time it will take to get somewhere. It can be a valuable tool for navigation. 7) Just like on the roads, there is the right of way. On a boating course, you will learn who has the right of way and why. 8) Every boat should have a horn. You may hear one long toot or 2 short toot and so on, and you’ll learn what they mean. 9) There are boating regulations and laws that must be followed by all boaters, for example, (and I have seen this rule broken so many times) you are not allowed to sit on the bow of the boat with your feet hanging over board. There are many more regulations to learn and not knowing them can cost you. 10) Anchoring a boat is not just a matter of plopping it down to the sand. There is a mathematical technique applied to anchoring that has to do with the size and length of your boat. Knowing how to do this correctly will give you that extra insurance of knowing your boat is going nowhere until you want to move it. There are different ways to enjoy pleasure boating such as the fast pace of ski boating or the slow pace of a trawler, kayaking or canoeing. In whatever way you want to do it, it is a good idea to know the rules of the road. Then you can avoid potential situations and get on with the fun of being out there with all that sky, sun, water, family and friends. There is something magical about chartering a boat and sailing the clear, turquoise blue waters of the Caribbean. There is no finer way to get a break and relax than to sail from island to island. At some point during your Caribbean sailing experience, however, you will want to stop. 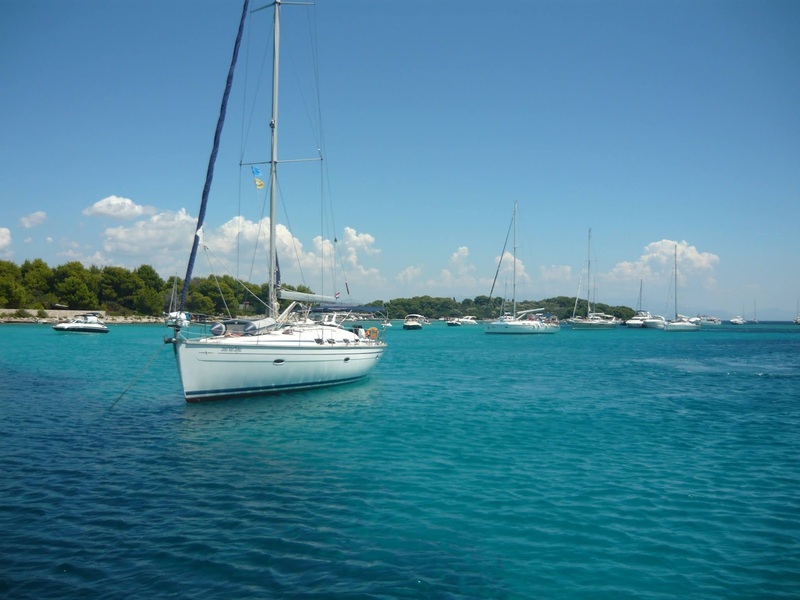 Whether you want to fish, swim, snorkel or dive, have lunch or stay overnight, you will need to find an anchorage and either anchor or use a mooring ball. Anchoring a boat securely is one of the most basic skills in boat handling. The key is preparation and slow maneuvering. If you miss the first time, do not be embarrassed. There is not an experienced sailor afloat who has not encountered this problem. Just go around and start again. The important thing is to have it right! By anchoring poorly, not only are you endangering your boat, but also the other boats anchored nearby. By following these suggestions and techniques, you can feel confident that you will have safe, hassle-free anchoring. The first step in anchoring is to pick an anchorage. Try to arrive at your anchorage relatively early enough in the afternoon. This allows you enough light to avoid any shoals or other hazards like rock/coral heads, fish nets or boats, ferries, freighters, mooring balls, crab pots and cables. In addition, during peak season (December to April) many popular spots throughout the Caribbean become very crowded. By arriving early enough, you have extra time to go somewhere else before nightfall. How good is the holding? Charts should indicate the type of bottom. Generally speaking, most anchors will hold well in sandy bottoms. Rock, coral and shale prevent anchors from digging in. If possible, avoid grassy bottoms, where it is very difficult to set the anchor. How crowded, noisy, dirty or smelly is it? Is the band from the beach bar going to keep you up until the wee hours of the morning or is the diesel smell of the inter-island ferry going to detract from your ideal scent of paradise? How pretty is the anchorage when you sit in the cockpit enjoying the dawn or dusk? How long a dinghy ride is it to shore and is there a decent place to dock the dinghy? What amenities are available on shore? What is the depth and tidal range? Enough depth is needed so that low tide does not present obstacles your boat might swing into and it is also important when determining scope. Finally, is there enough room? No matter where your boat is anchored, the largest possible swing range should be considered. Once you have decided that the anchorage is the perfect spot to stop on your Caribbean sailing adventure, there are several steps to take before actually anchoring. Before doing anything else, work out a system of communication between the person at the helm and the crew member dropping the anchor. Remember that your engine will be running and therefore you will be unable to communicate verbally. Hand signals usually work best. Furl the sails and generally make the boat shipshape before entering the anchorage. Also, shorten the dinghy painter (the line that attaches at the front of the dinghy) if you are dragging the dinghy behind you. This prevents it from being sucked into the prop when you put the engine in reverse. Open the anchor locker hatch, and if your anchor has a safety line attached to the chain (usually found only in mono hulls), untie and release it. Get the anchor ready to be dropped by disengaging the anchor from the bow rollers. This is done by using the remote control windlass (found in most Caribbean sailing charters) to lower the anchor about two to three feet. Make sure all fingers and toes are away from the chain! Finally, take a tour of the anchorage at very slow speed to get a sense of where you would like to be. In heavy weather, the scope ratio is 7 to 1. Depth is the depth of the water at high tide plus the height from the water line to the bow roller. Scope is the actual amount of anchor line (chain) paid out when the boat is safely anchored. For example, if high water is 20 feet deep and your bow roller is 5 feet above the water, you need 125 feet (5 x 20 + 5 feet) of scope to anchor if using all chain, or 175 feet if using a 7 to 1 scope. Remember, putting out too little scope is one of the most common mistakes cruisers make when anchoring. With the bow to the wind, slowly motor up to the desired spot. Stop the boat exactly where you wish the anchor to lay and take note of the depth. Remember that if you are chartering a catamaran, a cat offers less resistance to the water than a mono hull and thus takes more time to slow down than a mono hull. Make sure the catamaran has completely stopped. You can keep a cat straight into the wind by using both engines at idle speed. Once your vessel has lost all forward movement, it is now time to drop and set the anchor. Despite the term, "dropping anchor", you never want to throw the anchor over the side or let it run free immediately, because the chain will run out at a tremendous speed and pile on itself rather than laying out straight on the sea bed. A piled anchor chain prevents the anchor from setting properly and may actually foul the anchor. Instead, with the windlass, lower the anchor quickly to the bottom. Let the wind slowly push your boat back- do not try to reverse. Let out adequate scope as the vessel moves aft. If you are in a mono hull, do not worry about being broadside to the wind. When the desired amount of scope has been let out, snub the chain and allow the wind to straighten out the boat. Once the boat is headed with the bow into the wind, gently put the engine into reverse and throttle at 1500 rpm's for about 15-20 seconds. This should set the anchor and the anchor chain should start to straighten. If it vibrates or skips, let out more scope. An anchor that is set will not shake the chain. Once you are satisfied the anchor is set, turn off the engine. Put on your snorkel gear and visually check the anchor to ensure your boat is secure. If the anchor is lying on its side, caught in coral, or the chain is wrapped around a coral head, reset it. If your boat is dragging anchor during the day, it is not a major problem. Start your engine and put it into idle gear. Try to let out more chain. Wait a few minutes to see if the anchor sets itself. If not, you will have to re-anchor. If you boat is dragging at night, it becomes a little more challenging. If you are sound asleep and you do not bump into anything, you might not even know you dragged until the next morning when you wake up in a different place. I have friends who are extremely experienced sailors. They actually woke up in an entirely different anchorage after a night of dragging. On the other hand, you might become aware of night dragging when other people in the anchorage start screaming and flashing lights at your boat. Start your engine and keep it idling. Try to let out more chain and wait to see if the anchor resets itself. If not, you will have to re-anchor. Use your depth sounder to try and find another spot to anchor. Keep all the lights on the boat off to get the best night vision possible. Slowly move to another spot with extreme caution. If your neighbor's boat is dragging during the day, try and get their attention. Put out fenders to avoid damage to your boat. If nobody is on board the dragging boat (they are onshore drinking at the local beach bar), you can either get aboard their boat and reset the anchor, or if you are not comfortable doing that, you may have to move your own boat. During the night, if you are suddenly jolted awake when another boat hits yours, immediately start the engine and keep it idling. Wake up the crew of the other boat (yell, flash your lights, etc), put out fenders and do the same as during the day. Throughout the Caribbean, but especially in the British Virgin Islands, professionally maintained mooring balls are located in many anchorages and are available for overnight use for a small fee. A mooring is a buoy connected to an extremely heavy anchor or weight. Besides protecting the coral from damage done by an anchor, picking up a mooring ball has three other advantages. First, you do no have to go to the bother of using your anchor. Second, the mooring's anchor probably is never going to drag. And third, because the mooring's anchor is so heavy and deeply imbedded in the sea bottom, less scope is needed and, therefore, the boat will swing around in a tighter radius than it would on its own anchor. As in anchoring, approach the mooring area slowly with your dinghy pulled in on a short painter. Have a crew member ready with a boat hook at the bow to direct you and to pick up the mooring pennant (a line with a loop at the end). Have one end of a line attached to a bow cleat with the free end close by. If you have chartered a catamaran, one line is sufficient. If you have chartered a mono hull, however, attach a second line to the opposite side bow cleat. Point the bow of the boat into the wind and slowly approach the mooring ball. By shifting alternately from forward to neutral, you can coast towards the ball. Shift into reverse to stop the boat as the crew member lifts the pennant on board and passes the free end of the line(s) through it. Quickly cleat off the free end of the line on the opposite bow cleat for a catamaran or on the same side for a mono hull.. On a mono hull, the two lines prevent chafing and limit the risk of breaking free from the mooring ball. On a catamaran, the line hangs low enough that chafing from tension is rarely a problem. Again, do not be embarrassed if you miss picking up the pennant the first time- it has happened to all of us! Just circle around and try it again. Once secured, adjust the lines, if necessary. No matter where your Caribbean sailing adventure takes you, at some point you will want to stop. Anchoring is among the most important activities you will do while cruising. Anchoring is as much an art as a science. The helmsman and crew have to orchestrate their efforts with the wind, current and vessel. The important thing to remember is not to be embarrassed. Even the most experienced sailors have difficulty anchoring at times. As the old adage says, "Practice makes perfect." To perfect your anchoring skills and enjoy the most relaxing vacation ever, contact Virgin Island Sailing to arrange your charter. Nothing else beats Caribbean sailing!